Huawei Y6 Pro (2017) has been officially launched in Europe. 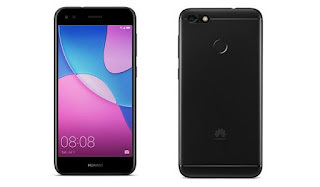 The device shared almost the same specs with the last year's version Huawei Y6 Pro. The device is powered by Qualcomm Snapdragon 425 chipset which runs on Android 7 Nougat. Huawei Y6 Pro (2017) spots a 5-inches screen display, built in full Metal body, 2GB of RAM plus 16GB internal memory. There's also a 3020 mAh battery capacity to keep the light on. Here's the full specifications and price of Huawei Y6 Pro (2017). When? Tomorrow? Hehehe. Funny guy. I usually expected phones of this spec from China not to cost more than 50k. The phone is good but the battery capacity ought to be 5000mah. Nice device, it has good specifications.